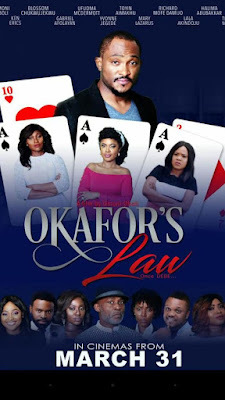 Last week Friday was supposed to have Omoni Oboli’s film, Okafor’s Law premiered to thousands of guests who gathered at IMAX Cinema, Lekki Lagos but it didn't happen anymore when a court injunction obtained by Raconteur Productions restricted the movie from showing. There is now good news for Omoni Oboli’s camp because the injunction was lifted today, 30, March 2017 by Justice N. Buba of the Federal High Court, Ikoyi, Lagos. 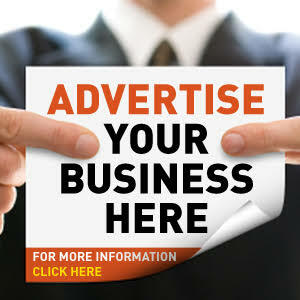 The court lifted the injunction while stating that the movie should not have been prevented from showing in the first place since the copyright claim suit is yet to be determined by a competent court of law. 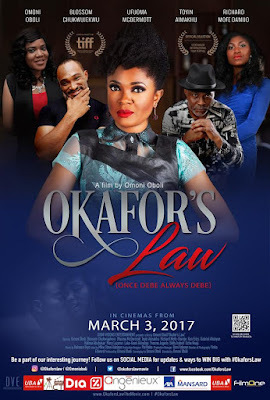 The movie, Okafor’s Law will now be showing nationwide in all cinemas from Friday, March 31, 2017.